Since the 1970’s, General Digital has played the role of an engineering design and consultation company, a manufacturer of flat panel display products, and a software development, test and verification house. To our customers’ benefit, we perform a variety of laboratory processes that quantify or enhance the capabilities of our LCD and monitor products. One is our display calibration and matching process, which provides our customers with cross display image uniformity and true-to-life image reproduction. Following is a brief list of Frequently Asked Questions intended to better inform the reader of our display calibration and matching process. 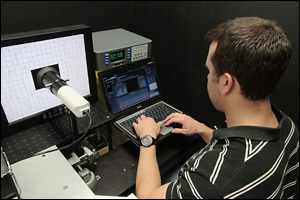 General Digital-trained technicians set up the target monitors in our Optics Laboratory. The monitors are connected to high performance video generators and colorimeters. Special software is run to analyze the monitors under a wide range of video modes and test conditions to gather performance data, which is analyzed to determine optimal calibration. After calibration is successfully performed, a calibration certificate is generated that summarizes the user adjustable video settings, so that the values can be restored if unintentionally modified. Markets include air traffic control, shipboard navigation, medical imaging, video walls, to name just a few. 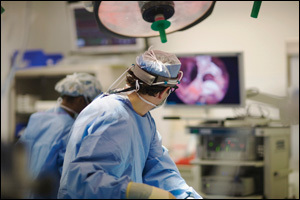 Anywhere two or more monitors are arranged in close proximity, DCM can make the difference between a professional appearance and a catastrophic experience. General Digital can perform the DCM process on any of its monitors and display kits, from 5" to 65" LCDs incorporating various technologies. Also, many organizations send their displays to General Digital’s Optical Bonding Laboratory (OBL) for bonding or other optical enhancements. We can calibrate these displays to D65 standards, achieving a full range of accurate picture colors, provided they are supplied with all of the required electronics and final display overlays (see below). For a proper calibration, we ensure that we have, at minimum, the display(s) or monitor(s) complete with overlays, film work, backlight, backlight controller and LCD controller. Note that we use LCD controllers compatible with our in-house equipment; for third-party displays, we require the same. General Digital recommends that calibration be performed once a year, after the initial calibration, in order to enjoy and maintain all of the benefits associated with display calibration and matching. With the many benefits it offers, high quality display calibration and matching ensures that our customers get the most out of their display or monitor. General Digital performs this process as part of our commitment to providing superior quality display products. Our specialized equipment coupled with our stellar experience means your monitors and displays are optimized to the highest level attainable. And with that, General Digital will provide maintenance and support for years to come.